Dr. Oravetz joined Ochsner four years ago with over 20 years of innovative healthcare leadership experience in both administration and medicine. 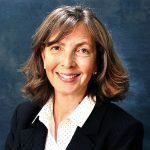 As ACO Medical Director at Ochsner Health System in New Orleans, Louisiana, Dr. Oravetz provides physician leadership to the system’s Accountable Care Network, which is the largest integrated delivery system in southeast Louisiana. As an experienced medical professional in integrated delivery, Dr. Oravetz serves as lead in development of Ochsner’s Population Risk Management Model and the Pursuit of Value initiative. He has been published in many prominent industry trade publications including, Strategic Health Care Marketing Magazine and FAM Med. Dr. Oravetz is a highly respected and distinguished speaker at industry conferences and medical management educational events. Over the course of his medical career, Dr. Oravetz has practiced in health care settings throughout the United States, including Rhode Island, South Carolina, Massachusetts and California. 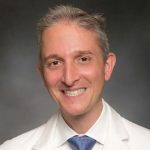 In addition to his experience as a practitioner, Dr. Oravetz has served as Preceptor and both, Associate and Assistant Clinical Professor in the Department of Family Medicine at the California College of Medicine, University of California-Irvine. Dr. Oravetz earned his undergraduate degree in Chemical Engineering from Yale University, medical degree from the University of Connecticut School of Medicine, residency at Brown University, Master of Public Health degree in Epidemiology from the University of California Los Angeles, School of Public Health and a Master of Business Administration degree from the University of California Irvine, Graduate School of Management.